We both love a good fish pie but we’ve never thought to make one before. 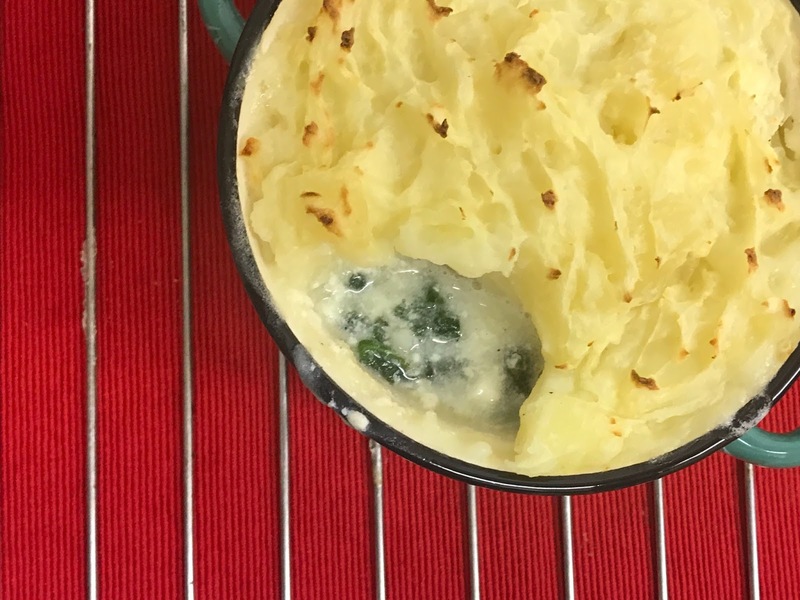 How could we ever live up to such a great dish, so we thought we’d try and create a very simplified version of a fish pie; one that doesn’t take too long and one that definitely does not break the bank. 1. Heat oven to 220C/fan 200C /gas 7. Tip the spinach into a colander sitting in the sink and tip the potatoes into a saucepan. Bring a kettle full of water to the boil and pour enough over the potatoes to cover and slowly pour the rest over the spinach to wilt it. Bring the potatoes to the boil and cook for 8-10 mins until tender, then drain and roughly mash. 2. Leave the spinach to cool, then squeeze out excess water with your hands. Scatter the spinach over the bottom of 2 individual or 1 small ovenproof dish leaving two gaps for the eggs. Crack the eggs into the gaps, then season with salt and pepper. Distribute the fish over the spinach and eggs. Spread over the crème fraîche and drizzle with the lemon juice. Loosely spoon over the potatoes, drizzle over the olive oil, then bake for 20-25 mins until the top is crispy and golden and the sauce is bubbling at the sides. Leave to stand for a few mins, then serve straight from the dish. Did you say fish? I never need any more convincing than that. I think the best thing about homemade fish pie is that you control the amount of fish in it (which means loads for me, yum!). Ooooh, this looks good! 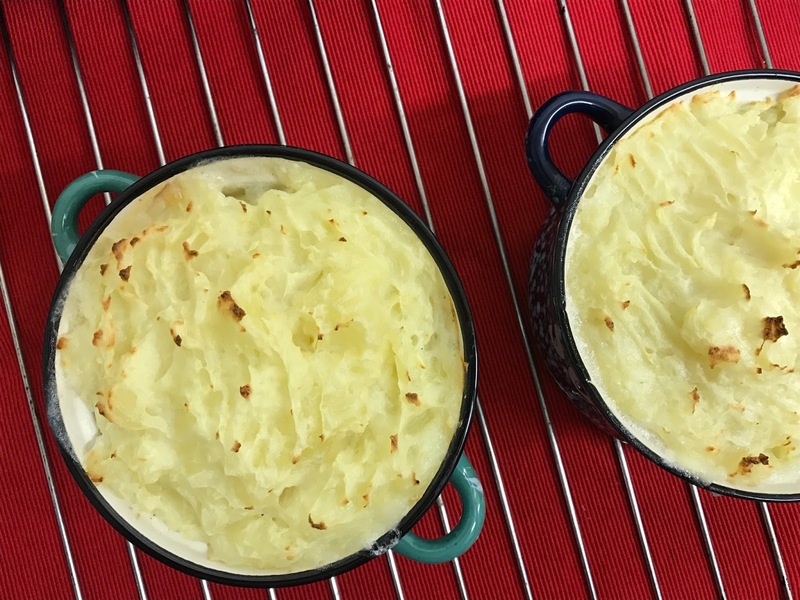 My mum makes a good fish pie but I'd have no idea what to do to make one myself, so this looks nice and easy (even for someone like me who hates cooking)!